Dallas Cowboys lineman Joshua Brent had a blood alcohol level of more than twice the legal limit when he crashed his 2007 Mercedes early Saturday, killing his best friend and teammate, Jerry Brown Jr., a law enforcement source familiar with the investigation said Wednesday. Brent, 25, has been charged with intoxication manslaughter and is free on $500,000 bond. The third-year nose tackle has been placed on the reserve/non-football illness list. A spokesman for the Irving Police Department said Wednesday that investigators may present the evidence they have in the case to the Dallas County district attorney's office as soon as Thursday. Irving police, who are not commenting on the case, have previously said that the 321-pound Brent failed field sobriety tests immediately after the deadly crash. He refused a breathalyzer test but because his wreck resulted in a death, authorities could draw his blood against his will. Brent's blood alcohol level was reportedly 0.18. According to one online blood alcohol content calculator, a person Brent's size would have to drink about 20 shots over a four-hour period to reach that blood alcohol level. The maximum sentence for a charge of intoxication manslaughter is 20 years. 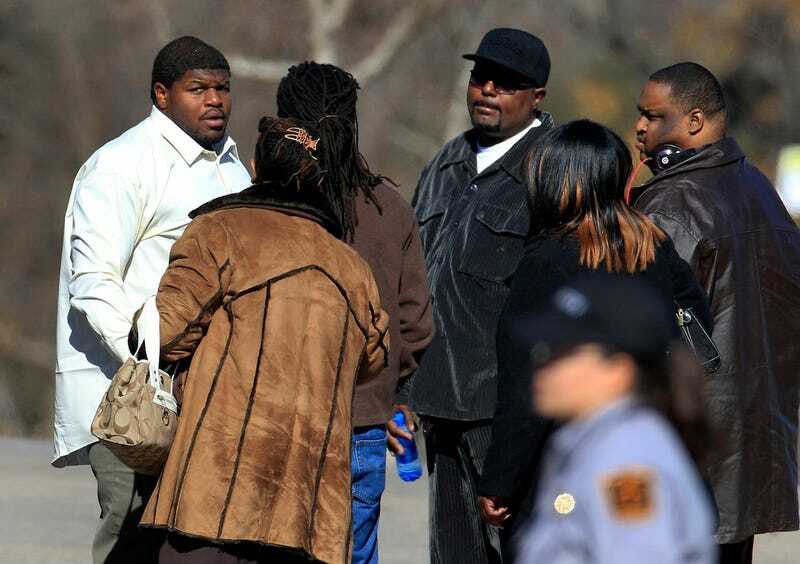 Just yesterday, Brent attended Brown's funeral and sat with his family at the request of Brown's mother.